Yo, Hi! I’m Frank, I made a deal with a demon to pay me some money for receiving a guest for a few days every week. On May 1st, Conan ‘the God of Death’ came to my house. I was forced to let him in and we get involved in a criminal case. Already, with the first guest, the story is exciting! This story has an original plot and although the characters from the other stories are copied since this is a fanfiction, it actually kinda makes sense. The characters can't have their personality traits and talking style completely perfected, but the author does a pretty good job in summarizing their characteristics. 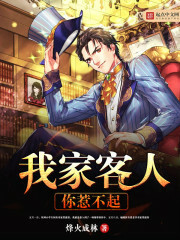 The translator uses English names instead of Chinese names and the translation quality is okay, so if you want something wacky but fun to read, this would definitely be recommended!